AR Modular RF has received JITC certification for its KMW2030 tactical radio amplifier system (30 MHz - 512 MHz / 125 watts) when used with the Harris PRC-117G tactical radio. It has been previously certified for use with the PRC 117F and the PSC-5D. The KMW2030 was tested along with its associated Low Noise SATCOM pre-amp, the KMW2030P. 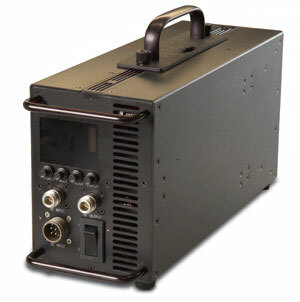 This auto-band switching AM/FM-UHF/VHF DAMA amplifier uniquely fills the need for high-power tactical communications from ground vehicles, and can also be used for aircraft tactical operations. Designed for easy operation, the user need only select MODE and POWER LEVEL to operate. The "Battle Tested" amplifier is protected against antenna mismatch, over-temperature, excessive current draw, high VSWR, and DC power mismatch. For more information about AR Modular RF products and services, contact AR Modular RF, 21222 30th Dr. SE, Building C, Suite 200, Bothell, WA 98021, USA, 425-485-9000; For more information, visit www.arworld.us.